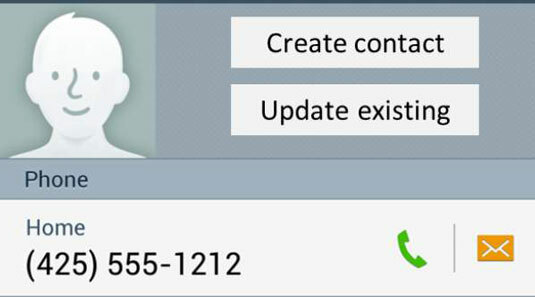 One way to add contacts to the Samsung Galaxy S 5’s contact list is to do so as you call people. To add contacts using this method, simply follow these six steps. When you first access the Phone application, it brings up the keypad with a blank screen. When you start entering the first number, you get a pop-up menu that asks whether you want to Add to Contacts. Be patient. As you continue to type, your phone tries to guess whose name you’re typing. 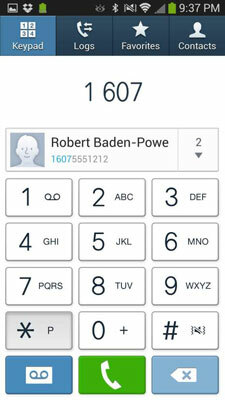 You can see that the digits you have typed are included in the phone number for your good buddy, Robert Baden-Powell. As a courtesy, it tries to offer you a chance to save your tapping finger and just call Robert. If Robert isn’t the right person to call, you can see that there’s another person with that number sequence in your Contacts list. If you mean to call that other person and not Robert, you can tap the 2, and one of these contacts will be called. However, if you’re dialing a new number for the first time, just keep on typing. Your phone will take those digits until it no longer recognizes the number. Eventually it gives up on guessing and shows you a screen that acknowledges the number you are dialing does not match any existing contacts. 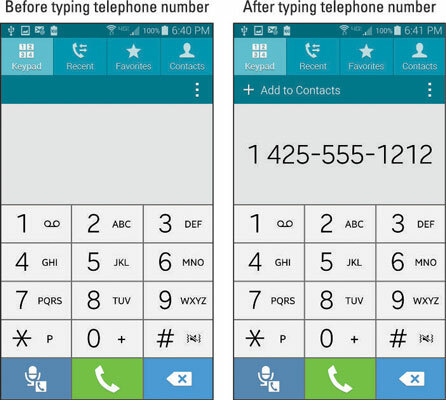 Keep on typing until you have the complete number dialed. When done typing, tap Add Contact. 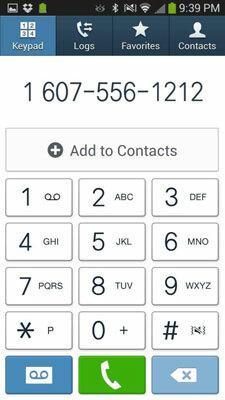 This brings up the option to save it as a new contact or to add this phone number to an existing contact. An empty contact profile appears. Enter as much information on this contact as you want. This Contact will soon be synced with your Gmail account.